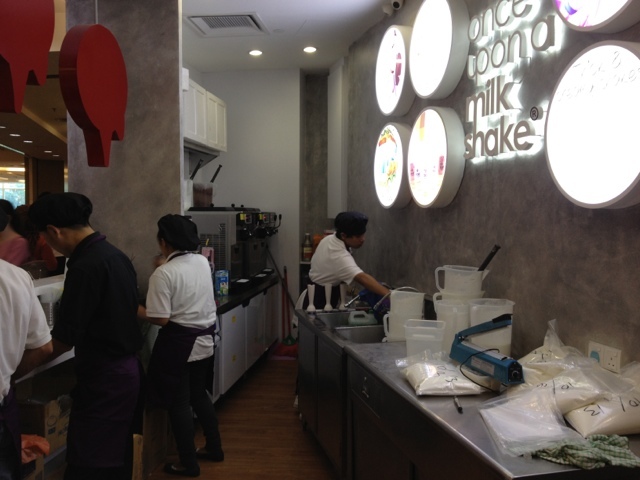 Expatriate in KL: Once Upon a Milk Shake KLCC: Heavenly Milkshakes! 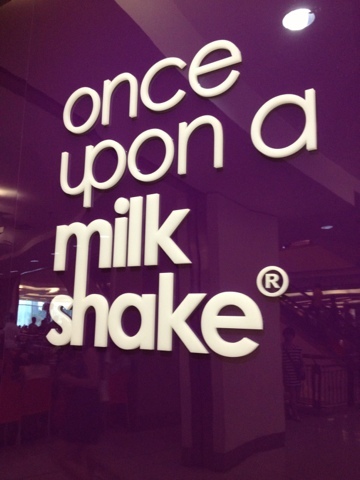 Growing up, one of the things I loved was milkshakes. Although I didn't have a lot of that, it was always a special treat whenever I had one. When adulthood came, I tried to avoid it, and occasionally treated myself to one when I deserve it (e.g after a week of good exercise). 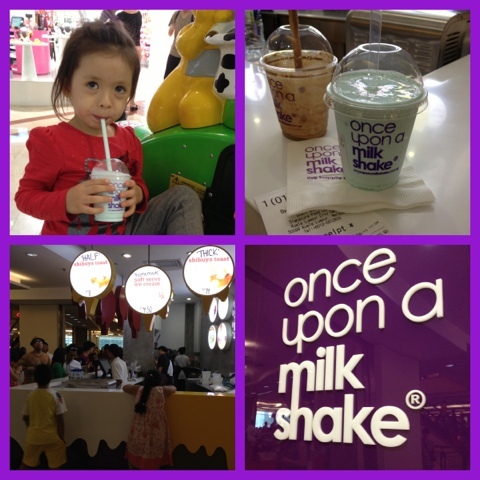 Now that I am on my 8th month of pregnancy, I found myself again craving for some milkshake. It doesn't help that I saw some of the reviews of this new milkshake place in KLCC. So during the Raya break, while lazying at home, I bugged hubby to drive us to KLCC to try out the new place. 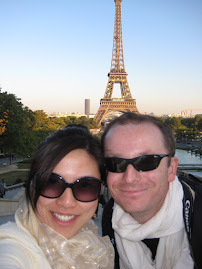 Thankfully he obliged and we were off to KLCC. I thought that the place will be less packed because of the Raya Break (maybe people are back in their kampung). However, I was so wrong. KLCC was full of people. It was crazy full! 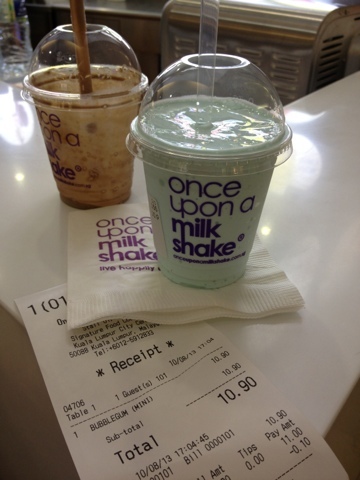 We made our way to the food court to find the Once Upon a Milkshake (which is right in front of Boost Juice). 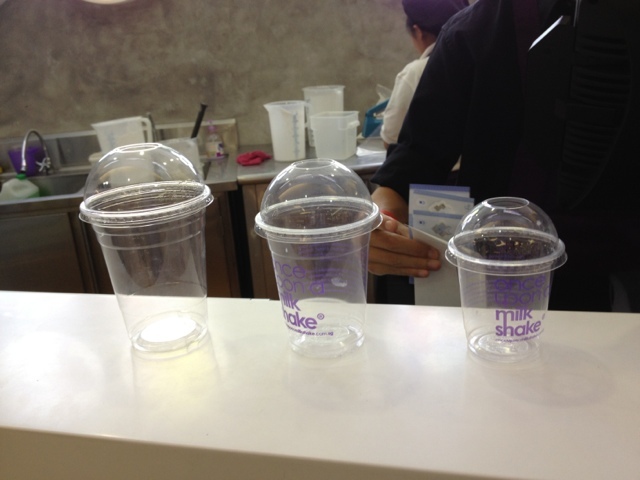 I was happy to see that they had 3 different sizes of milkshake, which means I could have a try without drinking too much quantity... especially as we know that milkshake is not too kind to our fats! I ordered the chocolate milkshake to do a true test of yummy-ness. And it didn't disappoint. The chocolate milkshake was very thick and rich... and tasty! I would have preferred less thick, though it was still yummy and slithering its way up the straw, every sip was heavenly! My daughter insisted on having the "blue" milkshake, which was bubble gum flavor. To my surprise, it cost almost double of the chocolate flavor... because the waiter said this is a "special" flavor. I requested them to make it more milky and liquid than my chocolate, because my daughter might find it too thick. They obliged and it was more liquid than mine. However, after tasting it, I don't see why someone should pay more for this flavor -- the chocolate one was superb. Perhaps just stick to the normal flavors -- they are more worth it. 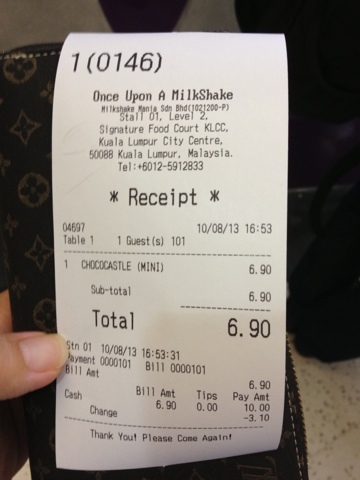 RM6.90 for the chocolate milkshake (small size). 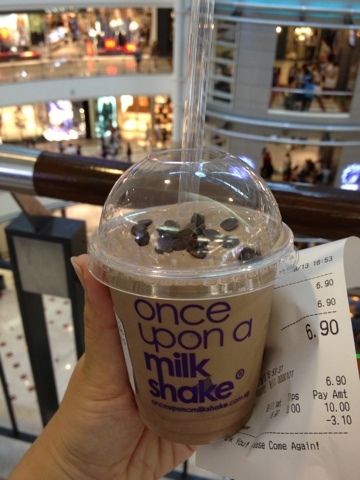 Small chocolate milkshake -- heavenly! 3 different sizes for you to choose from. Glad they have the small size, which is cute! My chocolate shake was finished, while we ordered the Bubble Gum flavor for my daughter.. RM6.90 vs RM10.90 because they said Bubblegum flavor is special. To me it was so-so. Stick to normal flavors. To me it was worth the drive to KLCC just for this! 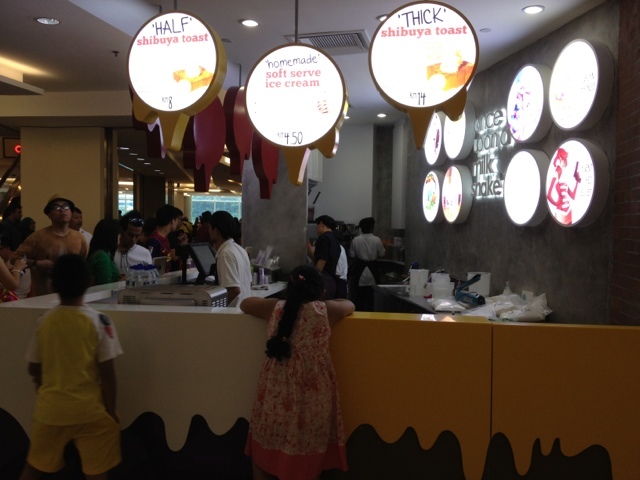 You should try the ice-cream...it's awesome. Anyway nice reading your posts! Will try it next time I go to KLCC... thanks for the tip!